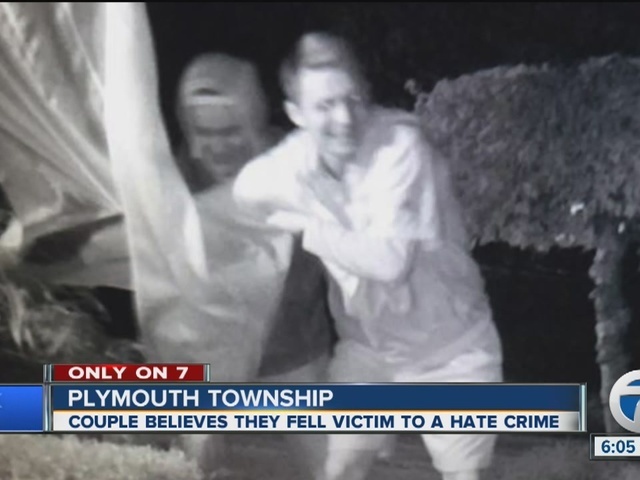 A Plymouth Township couple fears they were the target of a hate crime after some vandalized their home, ripping down a lawn sign that showed their support for Hillary Clinton as well as a pride flag. The reason the women believe it is a hate crime is because there are many signs supporting Clinton around the neighborhood, but only their house had a pride flag. The married couple said this is the third time it happened. After the flags were ripped down the first time, the couple decided to fasten the sign down with screws, but that didn't stop the vandals from doing it again. You can see images of the people involved above.